Wow – Those are some seriously large daikon radishes! Does anyone have any great ways with them? I’ve never cooked them before, but look forward to learning how! I’m happy to see lots of greens this week, too, since I’ve been dreaming of polenta lately. And of course, strawberries float my boat like little else in the world. 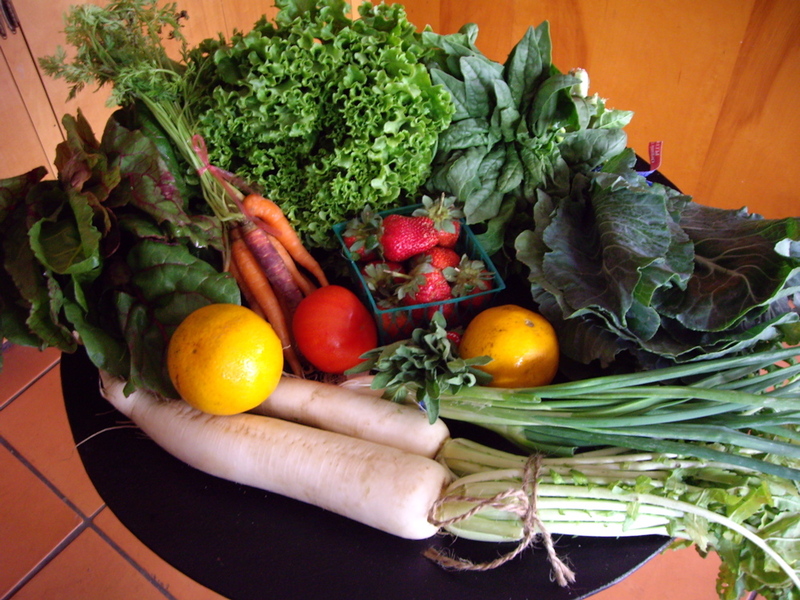 What are you planning to make from your Local Box this week? This entry was posted in Uncategorized and tagged daikon radish, green, greens, strawberry. Bookmark the permalink. When I lived in Japan, daikon was seemingly in every dish. I liked it “shaved” onto salads or tofu with a soy dressing over it. I didn’t get it in my box last week though 😦 – kohlrabi instead.